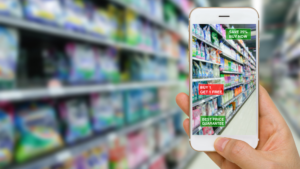 Retailers are slowly moving beyond omnichannel fulfillment capabilities in stores to invest in digital store technologies that empower store associates, improve customers’ engagement, and enhance store operations. There is no single formula for great execution on digital store technologies, and the varied performance of the retailers assessed shows that many are still figuring out the in-store digital technology and functionality that’s more relevant for their store formats, product category, and customer interactions. To evaluate how well eight European and two US retailers are executing digital store initiatives, we conducted Forrester’s 2018 Digital Store Capabilities Assessment between July and September of 2018. This evaluation did not assess usability flaws but focused on stores’ digital and omnichannel capabilities, features, and functionality for customers across their shopping journey. Performance was wide-ranging. The 2018 assessment again saw overall results range between 10 to 60 out of 100 total possible points, demonstrating that retailers are at varying stages of digital store transformation across the US and Europe. Customer-facing digital store tools provide self-service and immersive experiences. Retailers that scored well in our evaluation are improving customers’ in-store engagement with interactive product visualization tools and improved self-service capabilities. Digitally enabled associates must be more useful than customers’ devices. Most retailers that we studied give their store associates visibility into enterprisewide inventory. And they support endless-aisle capabilities to improve sales volumes overall. Successful retailers are also connecting in-store associates’ digital tools to relevant customer insights to improve recommendations and information that supports sales. We have recently published a document that shares deeper analysis of the 2018 Digital Store Capabilities Assessment and shares best-practice examples from a range of retailers across the US and Europe. You can download the document here. If you’d like to discuss any of the findings in further detail, please schedule an inquiry with me.